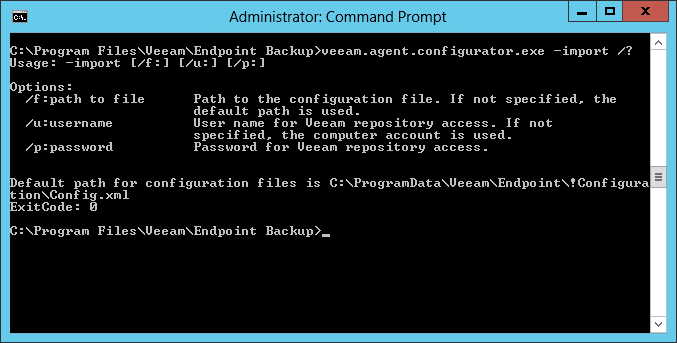 To display built-in help information about Veeam Agent Configurator in the command prompt, you can use the /? parameter. For example, the Veeam.Agent.Configurator.exe -import /? command displays information about the -import command in the command prompt.